This recipe calls for store-bought chocolate, which means that 100% Paleo perfection probably isn’t going to happen. Everyone has their own limit for sugar, dairy, and additives, so just go for the most junk-free brand you can find. Going as dark as you can helps a lot, and there’s an increasing number of completely dairy-free chocolates out there. If you’re not eating it every day, a little bit of sugar probably won’t do a whole lot of damage. This is a recipe for chocolate-covered almonds, but you could very easily substitute any other nut for the almonds. Cashews? Macadamia nuts? Go for it! You could also switch up the sprinkle of salt on the outside by adding some chili powder, cinnamon, or another spice. Try multiple batches and see what your favorite combination is! SERVES: 4 PREP: 10 min. COOK: 10 min. Stir the almonds into the chocolate, and toss until well coated. 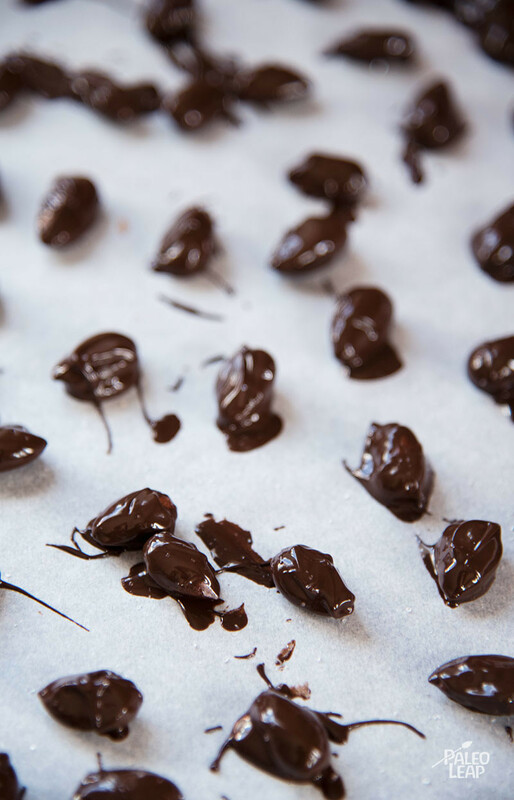 Place the chocolate covered almonds onto a parchment covered baking sheet. 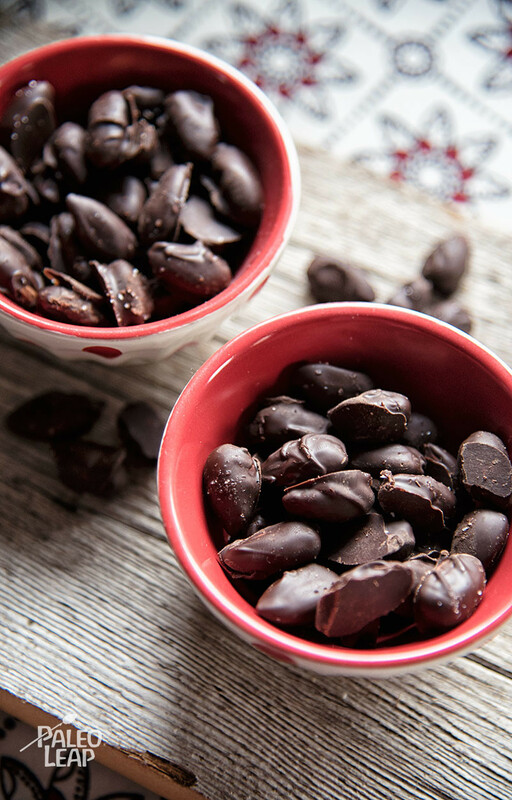 Sprinkle almonds with sea salt, and set aside until the chocolate is set.